There is no nice way to explain the events of the last three-quarters of a century, and we certainly will not sugar coat the truth, society is already delusional without adding spiritual diabetes to the list of symptoms fuelling the current downward spiral. The war on humanity is at an unprecedented point that cannot be denied by anyone with a shred of free spirit left within them. The overall war on humanity has been in motion for as long as man’s idolisation and fixation on money has existed and so has had many years to evolve. This war we speak of may seem unimaginable for some, and that’s understandable, there are so many different aspects it can be hard to wrap your head around but at the end of each rabbit hole lays undeniable evidence. The war on humanity is a direct war on consciousness. The war itself is just like any, consists of numerous battles playing out over a sum of battlefields that journalists, whistle-blowers and researchers have been RIGHTEOUSLY exposing over the years. Without the works of some of these valiant people, crucial pieces of the bigger picture would still be missing from the jigsaw puzzle leaving us at more of a disadvantage. Through this type of exposé we’re able to remove the erroneous ‘conspiracy theory’ label from the table. We are now at the point where we can identify key individuals, groups, corporations and families that make up the kabal that orchestrate the agenda in action. Most of the society do well to ignore it and fail to see it for what it is, and those that are awake can’t ignore it and fail to see it for anything other than what it is. People are slowly waking up, but not fast enough, those that are speaking out are being met with force by the authorities, sometimes and uncommonly to deadly effect. In the past 3-4 years and the last 12 months in particular, the rise in brutality by the police on the public has rose passed any previous historical high resulting in little to no justice what-so-ever. The sad thing is, all this tyranny, blatant violations of power are not only well documented, they’re easy to find and understand but met with little to reaction or resistance by society showing just how far we’ve slipped. For far too long society has stood back and watched from a distance without taking any action, securing justice or taking steps to prevent it happening again. It’s true from the unforgivable Tuskegee Syphilis experiment to the on-going Flint Michigan water crisis, this very lack of response from us, the people, shows just how deep-rooted the issue is and that it's far beyond a physical war it’s psychological in nature. When we widely analyse just what it is that is going on around us and connect all the dots it’s clear to see that a significant amount of effort has been made to socially engineer the mass collective, and this sophisticated control paradigm works on three primary levels. Through our physical body, they attack us with the food and water they certify and deem as safe. Genetically modified, chemical heavy processed forgeries of food are being sold containing traces of compounds we find in cleaning agents, glues and paints. They make food with little to no positive vibration making it no benefit to the body only to the health care industry that is waiting to prescribe you their drugs with more side effects than you started with. Chemtrails containing things like chromium, barium and mould spores are being sprayed in the skies all over the world. These chemicals play a factor in weather manipulation, global warming and have a serious health implication as they clog up the human body. Emotional manipulation is something that can happen to us all, no doubt at some point in your life you can recall a moment when someone has used your empathetic heart to their advantage. Most of what we are shown via the news and media outlets are carefully scripted and always pre-selected. Just think, we are swamped, if not overloaded with more crisis situations, conflict updates and scenes of far out inhumanity 24/7. Taking nothing away from distant conflicts, but what they typically show us on a localised level is always an event that takes place in another country leaving people feeling helpless. The Psychological aspect of the attack is overlooked because ego-driven pride will not accept a reality in that it’s not in complete control. The assault on consciousness is possibly the most important to understand because these effects are ones that influence the very way we live our lives from the way we view ourselves and the rest of society, it shapes the way we see the world and even determines things like our opinions. This all starts at an early age through the education system. Education provided by the state may as well be called conditioning centres, and they’re designed to fit an economic climate 30 or 40 years ago struggling to ready the next generation. It doesn’t stop with school, indoctrination has been deeply rooted into the pillars of science, entertainment, music, politics and so much more. It genuinely feels like there is a war on everything that makes humanity human…..
We have mentioned before not knowing is one thing, but there is no excuse for wilful ignorance. Is it true throughout our day to day lives to determine the way we experience life and have an influence on its future or are you passive meat sack by design? You can answer that for yourself. There was a time, now probably only surviving in the memories of our grandparents and elders, that once held the meaning commUNITY in high regard, they felt so strongly about the values involved in a community that any attack on the people would result in the people coming together to tackle the problem together. In the now distant past, all over the world, people in all different countries at different times come together to show their discern in a variety of ways to oppose shady goings on from acts statutes and policies to unlawful behaviour to and out-right unimaginable. Well, the unlawful behaviour is still going on, and the unimaginable is now normal to hear about. Television has literally been the most dynamic weapon of choice since their cameo appearance in the homes of the wealthy the silent investing partners behind the scenes saw very little profit in broadcasting to a type of person that was rarely exposed to it. Fast forward to today and there is a TV set in nearly every single western household. It would take some argument to disprove that the box with lights has been active in reshaping, realigning and hijacking of the mind. The statistics behind TV watching are scary and in the western world by the age of 65 the average American will have watched an average of around nine years of television programming. In Europe, the statistics are not far behind with around 7.5 on average. In recent years, the number of advertisement on all platforms has risen and the average TV watcher in a four-hour sitting can expect to be bombarded with at least one hour of blatant advertising not including the subliminally inserted symbology they just love. It should be pointed out that TV itself, like guns, are not evil. The people that are behind the scenes who dictate what content is broadcast who have their interests rested on the compliance of their viewers that are the problem. As with all technology, it comes with its pro’s and con’s; it can lead to our empowerment, connect us to information even inspire us but quite evidently used negatively to distract, desensitise and deconstruct the very idea of connectedness, leaving just the individual. • Create, buyout, and saturate the platforms that disseminate the information of events that shape civilisation. It’s hardly an unknown fact that a vast percentage of the news outlets are owned by a very small group of people all linking and having a strong affiliation to the infamous Rothschild family racket. In America as a prime example, 6 Companies own over 90% of the new outlets, and it’s not even hidden; Time Warner, General Electric, Disney, CBS, ViaCom and NewsCorp. • Only report and publish stories that back up and further their socio-political agenda. this huge audience of people you are conditioning, why would you feed the truth? Instead they pump the headlines with provocative stories of controversy and conflict. • Encourage division and conflict through debate by releasing intricately manufactured stories which play on emotions. From theatrical style political campaigns which juggle the hopeful interests of the naïve voters to issues that relate to people on a personal level like the current divide and conquer scheme taking place in the race war. • Distort and divert the attention from the “real story” and keep your focus on the replaying traumatic events playing on the emotions of watchers. We know and understand that tragedies take place, natural disasters occur and a discomforting percentage of the population are living well under the poverty line. We also know it to be a fact the problems are perpetuated by the very capitalistic economic world model they have built and ruthlessly expanded over the last 100 years. • Label anyone that speaks against their word, work or agenda a host of things synonymous with crazy conspiracy theorist. Brave, courageous and righteous are all words we’d associate any person prepared to step into the crosshairs for the sake of warning the people. Hundreds if not thousands of people over the years have been chastised, ridiculed, laughed and even had their work discredited leading to ruined career for attempting to highlight things which we now know today to be very much a reality. 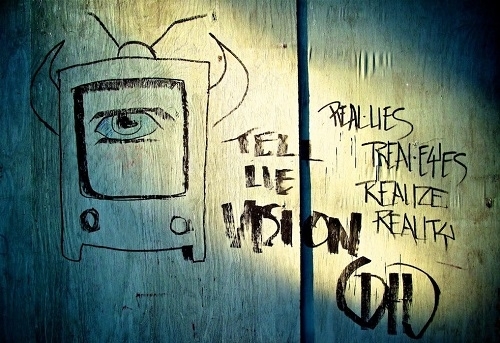 Television > Tell-Lie-Vision> Tell-Lie-Vision PROGRAMS. It’s a very well-known fact that TV sets emit ELFS (extremely low frequency) that disrupt and manipulate the observant body’s vibration. The average TV watcher after just 15-30 minutes of watching enters into a passive and hypnotic state of mind susceptible to the long perfected craft of subliminal messaging. The very idea that TV is used to control the minds of the masses being just a crazy conspiracy is as good as saying that you don’t have access to something as simple as a Google search because the information is in plain sight. “It is therefore possible to manipulate the nervous system of a subject by pulsing images displayed on a nearby monitor – the image maybe embedded into the material or overlaid by modulating the video stream” – US Patents Office #6596148. This idea, this concept, this REALITY is not new nor is it hidden. 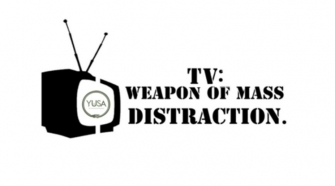 To underestimate the importance of TV advertisement and its use by the capital agenda is a failure to connect the dots, the amount of money spent on commercials alone should ring alarm bells. “According to rating measurement firm Nielsen, average adverts per hour on US broadcast networks increased from 13 minutes and 25 seconds in 2009 to 15 minutes and 38 seconds last year. Some channels even have 20 minutes of non-programming content per hour” says the Wall Street Journal. Television has become such an important and normal portion of people’s lives that it has become the primary source of world events and so it’s no surprise that most people live out a reality that is governed by world views that aren’t necessarily their own with no first-hand experience to back them up.  If you are like us and relatively devoid of TV watching but surrounded by socially that are trapped in the box, you may like us have found yourself in conversations where who you’re talking to has nothing but automatic thoughtless responses that are generated by thoughts, ideas and concepts given to them by the TV. This is a prime example of how mind control works. What better way for those at the top to get what they want from the people, without them even knowing it. TV has become the pacifier of society; it enables a watcher to get lost in a reality that completely removes them away from the realness of life itself. With a rudimentary understanding of symbology watching TV becomes a different experience because you’re able to see the tricks that are used for your very conscious eyes. The overall goal of TV is to put the viewer in the a hypnotic state that bridges the gap between the conscious and subconscious mind making one susceptible to being bombarded with embedded messages that are typically of a sexual and occult nature. Social deterioration is a product of continual thoughtlessness and blind acceptance which creates the perfect environment for downward spirals. The media such as the news use celebrity stories and other non-important updates to divert people’s attention from real life issues going on across the world from policy changes that encroach on civil liberties to disasters that are occurring. So whilst we are getting streamed round the clock updates on the latest A-list lovers tiff, everyday life changes are being made that affect each and every person. A prime example of media smoke and mirrors is how pointless and we reiterate useless celebrities like the Kardashians are getting news coverage over events like the recent investigation into the Rothschild family (Read More) or the on-going extinction-level crisis caused by the Fukushima nuclear spill that has dumped 300 tonnes of waste into the ocean every day since 2011. The choice is always yours, will you be led, or will you lead yourself to a position of clarity. Copy Right © YUSA .